This is part of a sponsored campaign with the California Milk Processor Board and Latina Mom Bloggers. However, all opinions expressed are our own. Who remembers that old disco tune, “Another Cha Cha” from Santa Esmeralda? 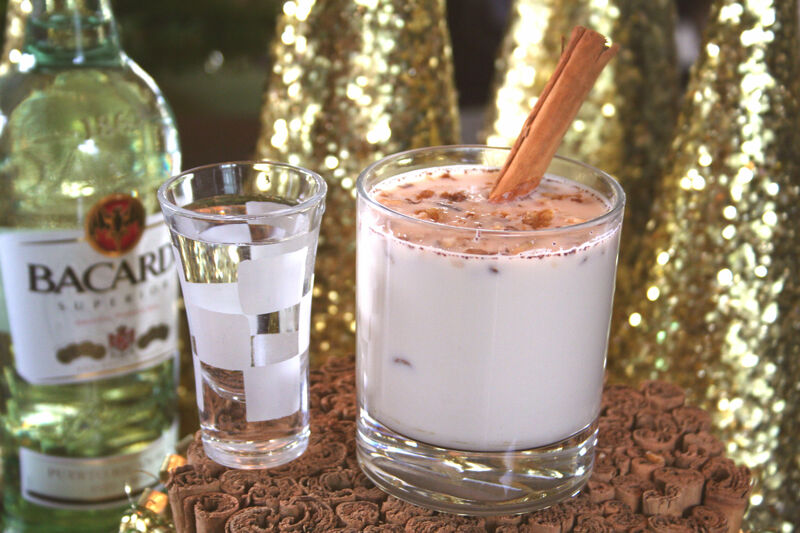 This holiday season Art and I are getting our cha cha on with a new drink – Horchata. Every holiday party needs a great punch or signature drink. This year, we’re serving a traditional aguas fresca called Horchata, but infused with a little rum for our party guests. We’re calling this milky delight “RUM CHA CHA!” Apparently, there’s already a popular Rumchata on the market so I guess we won’t be bottling this up for sale. Although after imbibing, you’ll wish we had! 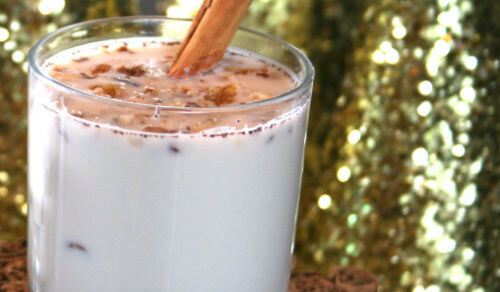 Thick and creamy, this horchata recipe far exceeds those bought in the stores. Garnish the cocktail with chopped walnuts and a stick of canela (Mexican cinnamon) and get your cha cha heels on! The photo was taken by Norma Vega. Combine the rice, warm water and cinnamon together in a large bowl and let stand for 24 hours covered in the refrigerated. The mixture should be milky white. Blend the mixture either in food processor or blender. Strain the mixture through a fine sieve into a large bowl. Discard the pulp. Refrigerate for 2 hours or until well chilled.